MANILA, Philippines - The National Police Commission (NAPOLCOM) announced on Monday, January 15, release of the NAPOLCOM Entrance Exam and Promotional results 2 months after the conduct of October 22, 2017 exam in designated testing sites nationwide. 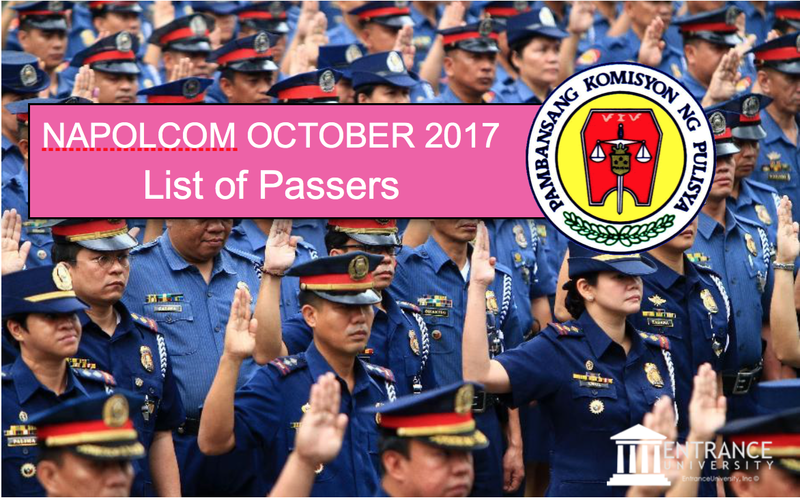 The list of passers for Police Inspector and Police Superintendent exam has not yet been released but will be available on this website as soon as released by the National Police Commission (NAPOLCOM). Successful examinees can also check the list posted also at the 7th Floor, NAPOLCOM Central Office in Quezon City and in all 18 NAPOLCOM Regional Offices nationwide.